OXNARD — The topsail ketch Hawaiian Chieftain and the brig Lady Washington will return to Channel Islands Harbor Jan. 17 for family tall ship cruises and mock cannon battles. Both ships will be open for tours from 4-5 p.m. Jan. 18, 10 a.m.-1 p.m. Jan. 19-21, 4-5 p.m. Jan. 22-25 and 10 a.m.-1 p.m. Jan. 26-27. A $3 donation is requested; no reservations are necessary. Battle Sails — cruises featuring recreations of 18th century naval skirmishes and maneuvers, with live cannon fire — are scheduled from 2-5 p.m. Jan. 19, 20 and 27. Tickets are $40 for children 12 and younger, $50 for students, seniors and active military personnel, and $60 for adults. Tickets are available for purchase online at historicalseaport.org or by phone at (800) 200-5239. Adventure Sails that allow passengers of all ages to help raise a sail, learn sea chanteys, hear maritime stories and take the helm of a tall ship (conditions permitting) are scheduled for 11 a.m.-1 p.m. Jan. 20 aboard Hawaiian Chieftain; 2-4 p.m. Jan. 21 and 11 a.m.-1 p.m. Jan. 27 aboard Lady Washington. Tickets are $39. 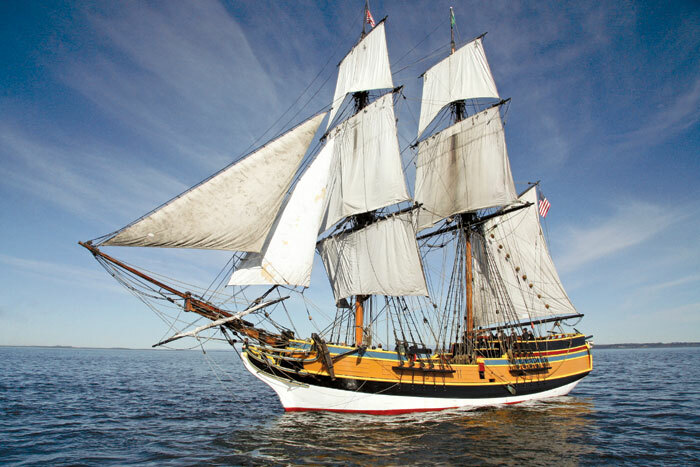 Lady Washington, the official tall ship of Washington state, is a wood-hull replica of one of the first U.S.-flagged ships to visit the West Coast of North America. Hawaiian Chieftain is a steel-hull replica of an early 19th century trading vessel. The ships will tie up at Channel Islands Harbor, 3900 Pelican Way. Both ships are operated by the not-for-profit Grays Harbor Historical Seaport Authority of Aberdeen, Wash.
← What Were The Log’s Top 10 Stories of 2012?